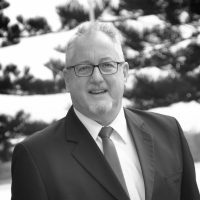 Clive Ince joined the Elders Port Macquarie team in February 2011 as a sales consultant. More recently he has changed his focus to become Sales Manager, guiding our strong and growing sales department. has over 15 years local experience and believes that listening to client’s needs and constant communication is vital to ensure that the expectation of his clients are achieved and surpassed. This is demonstrated by the high number of repeat clients and customers referred by others, who are continually impressed by his work ethic and level of service provided. Clive has been consistently recognised within the industry as a high achiever, having been nominated in the NSW Real Estate Institutes ‘Awards of Excellence’. Without a doubt, Clive’s record of success, regardless of the property types, styles, location or circumstance reflects on his ability to empathise which compliments his determination to achieve the optimum results on behalf of his clients. Would you like to speak to Clive?